Less than a mile from the Pacific, unmanned and open to all, the Sea Ranch Chapel appears to be protected by its own beauty, for vandals neither spray-can nor gouge it. 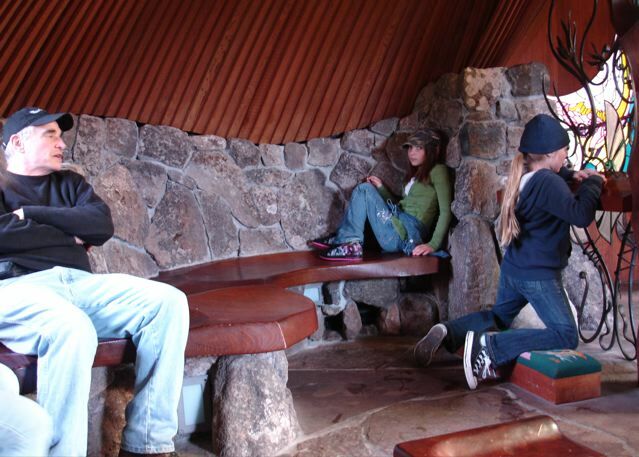 A non-denominational sanctuary for prayer, meditation, and spiritual renewal, it is an architectural wave on a sea of grass just off California’s Route 1, 110 miles north of the Golden Gate Bridge and a few miles south of tiny Gualala (“wa-LA-la”), Mendocino County‘s southernmost city. A gift from locals Robert and Betty Buffum, the chapel was designed by San Diego artist and architect James T. Hubbell and built in 1985. 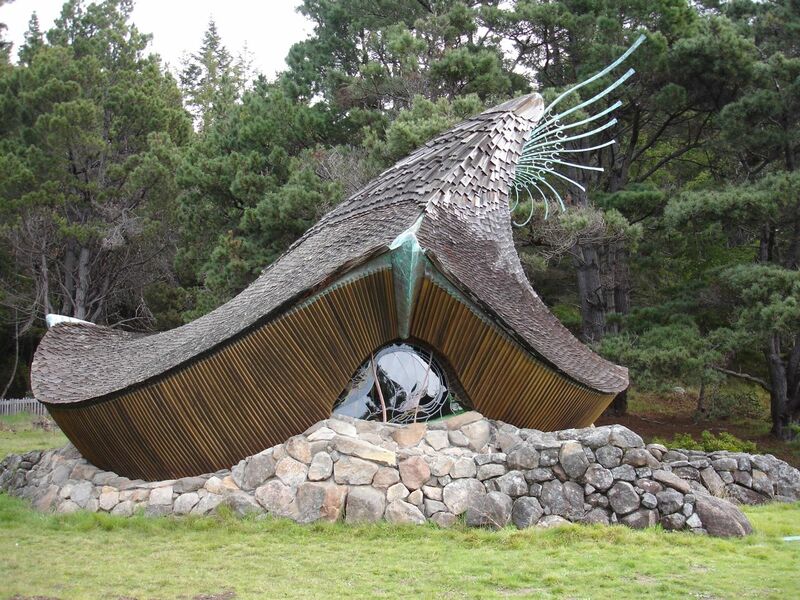 Among the many beauties of the California coast, the Sea Ranch Chapel is unique. Written by Steve Cotler on August 11, 2009 at 3:57 pm and filed under Art, Travel. « Me and Miss Jones–Gee Whiz! I’ve been there. You are right. Fantastic! Gorgeous, though I wish that I could see a pic of this with a person next to it, for a better idea of its size. Looks like a lovely place, nice and peaceful, you could lie there on the grass and admire the design. Take time to reflect and get away from all the artificial and stress in our lives. Thanks for the article. Hello and thank you for this wonderful spot! I was riding my bicycle from Seattle to San Francisco several years ago and spent a few hours taking in the beauty of this magical place. A non religious person myself, I still felt a connection to the spiritual here. it amazed me such a place exists unguarded and undamaged from the less courteous. I have told many a friend traveling this path to not miss this gem. Thank you again for providing such a place for the public!